We use football to engage young people through cross curricular learning and activities. We aim to get more boys and girls actively playing football. We secure for them the most enjoyable, developmental and child-centered football experience when they do play. We work with: the third sector, education authorities, schools, groups, clubs, national and international football authorities. We create playing environments and formats which allow children to reach their full potential through football. We aim to eliminate the factors which cause boys and girls to drop out of football. To protect childhood through football for fun. The Children’s Football Alliance is a coalition of agencies and organisations that safeguard and advance the rights of children in football. Globally, children contribute immeasurably to the game of football as players, as fans, as workers and in many other ways. Without doubt, the power of football to be an influential and dominant force for good in the daily lives of children worldwide is enormous. As a humanistic voice and advocate for children, The NCFA also acts as a focal point and network for those individuals and organisations seeking sustainable partnerships, information, education and/or training on child-centred approaches and children’s rights in football. The Children’s Football Alliance works tirelessly to better children’s lives. reflecting on a moment in history that inspires humanitarianism. Football & Peace Project commemorates the centenary of the First World War, the Football & Peace Project brings young and older people together from all cultures, discovering their families’ and communities’ heritage. Communities will feel connected to the place where they live, they will share a common bond with aspects of community sport and the important role it played in World War One and continues to play today. 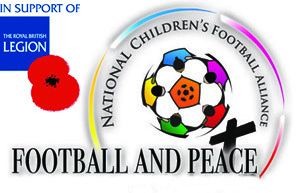 Schools, clubs, groups, partners and associations, are all welcome to contact Football & Peace, through the National Children’s Football Alliance. 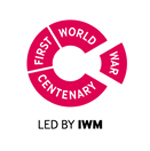 F&P provides a platform for everyone, to share their stories, experiences and record their opinions in the centenary years commemorating the First World War. All the projects uploaded onto this site should contextualise the role of sport, at home, in the community and abroad – Then and Now.